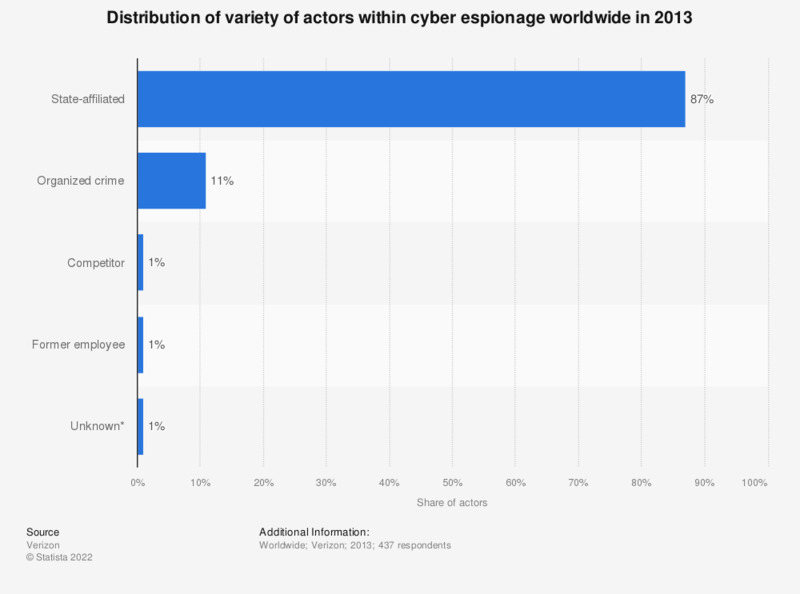 This statistic presents information on the most common variety of actors within cyber espionage worldwide in 2013. Most incidents are found to be attributed to state-affiliated actors with a share of 87 percent in the said time. * indicates the value is less than 1 percent.